How wonderful, you just came back from a long trip, which I'm sure you had a great time! Lovely tea setting sweet lady and your teacups are stunning, I love Limoges china, I have a complete set that mother gave me several years ago. Yes, we just have a LOVE AFFAIR WITH TEACUPS and Tea Time too! Thank you for hosting, have a blessed week. Hi Terri, thanks for your beautiful post! I am having holidays at my parents, back to my roots, with my husband.life is beautiful!! Hugs! 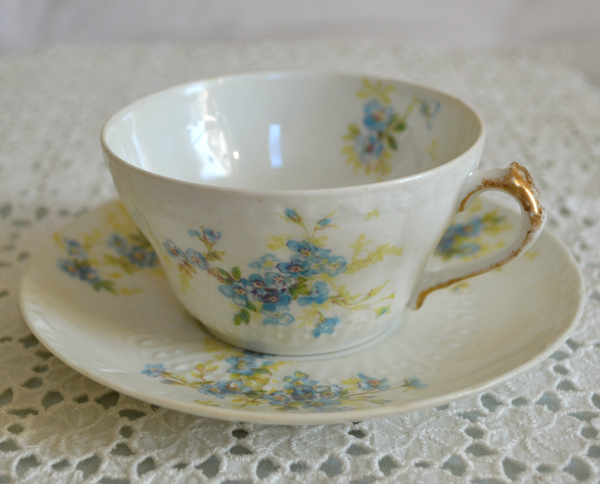 Limoges is one of my favorites and your teacups are all stunning! Don't pretty things just make you smile? Have a great week and thank you for hosting. your vignettes are as always beautiful. Especially the dainty doily tea cozy catched my eye. How romantic and this inspires me again to make such tea cozies, too. Your china is wonderful, very dainty and charming. Thank you so much for this beautiful post and for hosting this event. Enjoyed your morning tea. Lovely cups! Beautiful tea cups! So dainty looking! I found some great buys at the Thrift Stores last week so I linked up! Oh Terri...these cups are little darlings, that's what! I love them...so pretty, and the treats, well...I don't mind if I do! 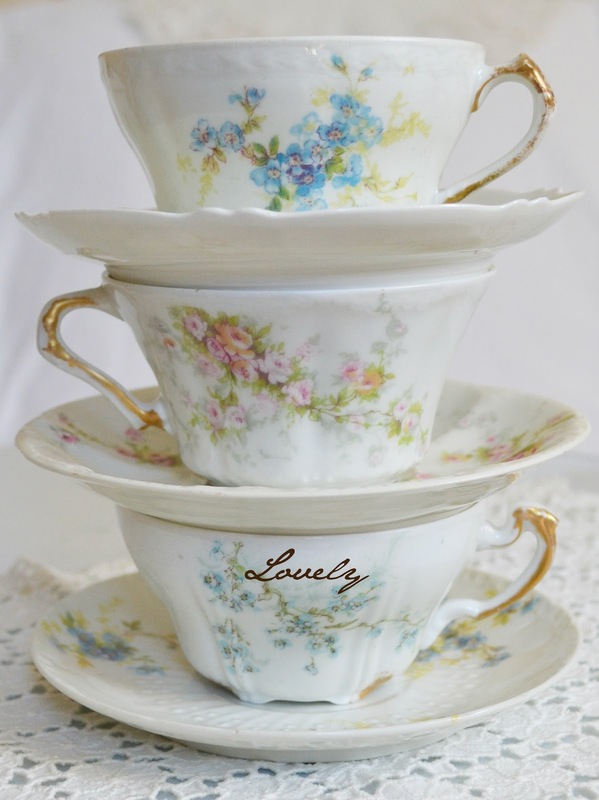 Such pretty teacups, I love them all! Your lacy teacozy is beautiful! A perfect morning tea! Thank you for hosting your lovely teaparty! Hi Wonderful Lady! I received the tea cup and saucer all safe and snug; not a chip one! I was so thrilled to receive it. Thank you so much! Your tea sets are very beautiful today. 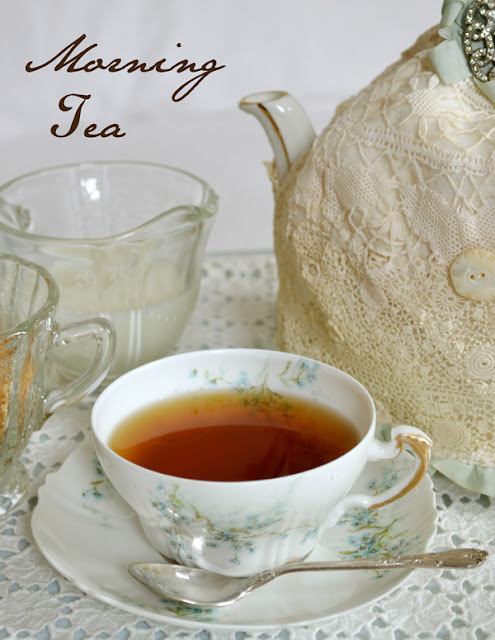 I do have to say that I LOVE the lace cover you have over your tea pot. Did you make it or did you find it somewhere? It's just stunning in your photos. Thank you for hosting today's tea time. I had a lovely time. How beautiful all, dear Terri, and your tea cozy is wonderful, love it! 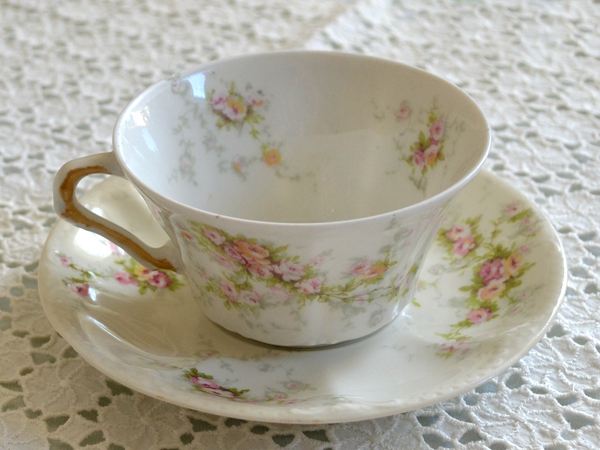 Yes I too am fond of little sweet flowers spread over a cup and saucer,and these are totally lovely. What a beautiful post. I love your pretty teacups and the floral bouquets on your teacups are so lovely. Thanks for hosting. Have a nice week. Oh, I love your tea cups, they are all so pretty. I think my favorite is the pink...so delicate and truly fairy-like. 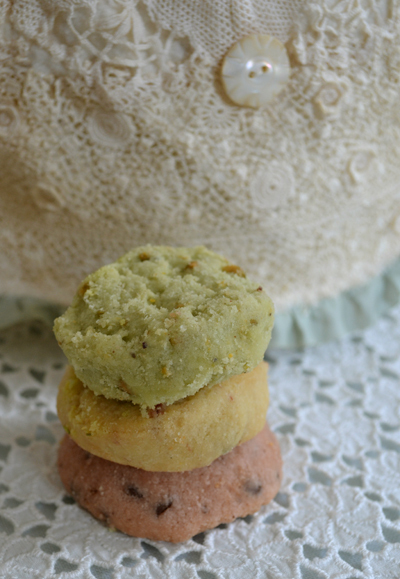 The cookies look absolutely scrumptious, and I can actually imagine the texture just by looking at them...buttery with a soft crunch. They seem like they would melt in your mouth..am I right? I hope your trip was a good one, and I wish you perfect well-being. Hi Terri! It's been awhile! I love those tiny pink roses. So charming. All your teacups are wonderful. Gorgeous Gorgeous GORGEOUS! !